People seem to love their lower receiver branding, so I’m sure the Carnik Con lowers will be a hit. 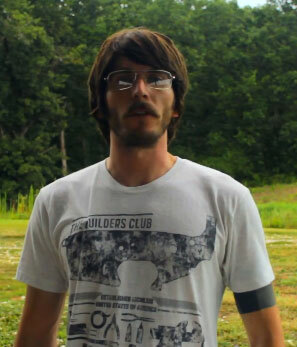 If you’re buying a CarniK Con lower, make sure to pick up an AR-15 Builders Club t-shirt if you really want to be like Dugan. Palmetto State Defense isn’t a fly-by-night company son ! I see “Founded 2008” so you’re right they have been around for a minute. I actually wasn’t specifically alluding to them being fly-by-night in that paragraph anyway but I definitely had that assumption. wait this is a different company from Palmetto State Armory? Yea different company. Palmetto State Armory is the truth! AWW Crap! I was thinking Palmetto State Armory. If you don’t want the free boom sticks, can i be your intern? The chick in the devil wears prada got to keep all the crap in the samples closet. I even promise my behind the scenes expose of you will be quite complimentary. (Although being in NYC, i guess i am now on the government disarm list because i read the word AR-15). AR15s and 1911s… The two guns that everybody and their mothers are trying to cash in on by producing their own version. Hey I can’t blame them, it’s certainly easier and cheaper to copy an old design than it is to come up with something totally new. But I would like to see some genuine innovation, rather than people just puking out the same ol’ designs we’ve seen for years. I have never seen you do a review and post it here. Exactly. I did a few a bunch of years ago (bullet earphones, carbon fiber bag etc…) but quickly realized that my time was worth much more, and is much better spent elsewhere. Oh my God dude, they killed Barry! You bastards!